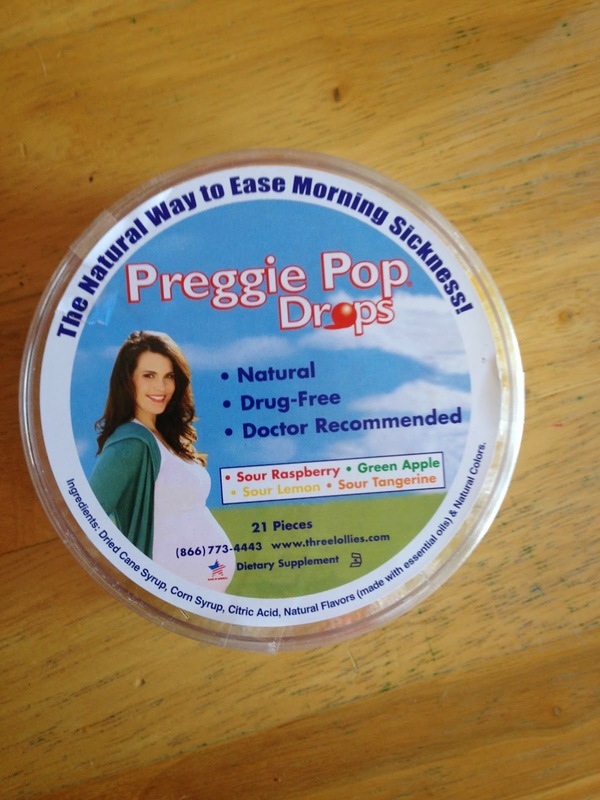 Preggie pop drops are a natural way to ease morning (all day) sickness. Preggie pop drops come in a tin which contains 21 drops. 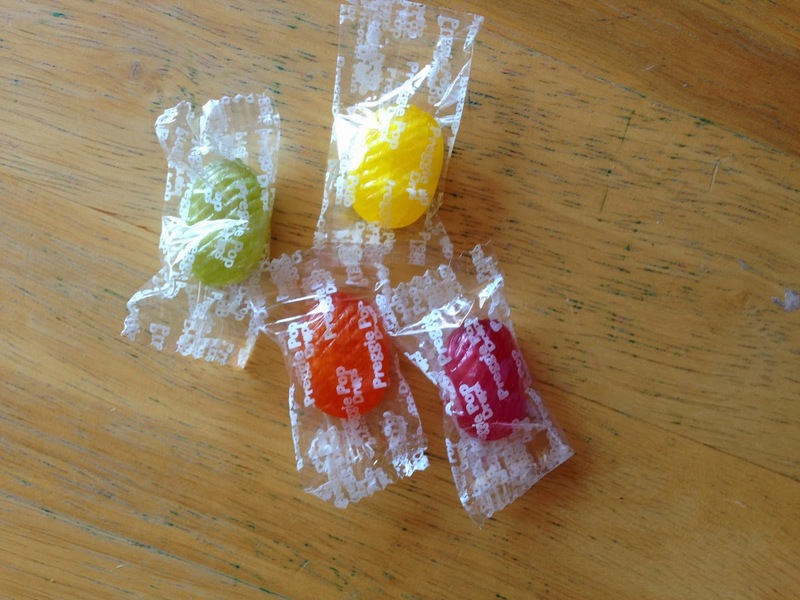 There are four flavors in the Preggie pop drop tin which are: Sour raspberry, sour lemon, sour tangerine, and green apple. I don’t typically like sour candies, but these are not super sour. They have the right balance between sweet and sour. Preggie pop drops are also not super sugary. 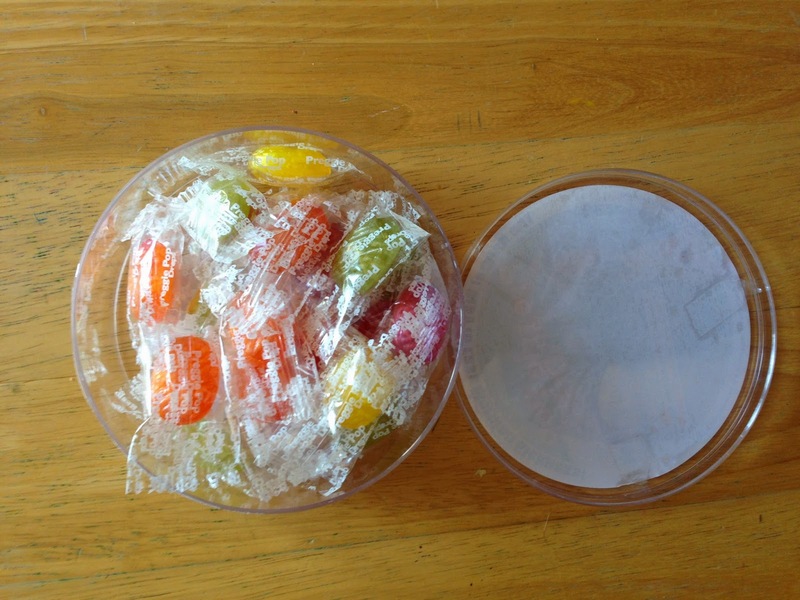 The benefit of Preggie pop drops vs a hard candy is Preggie pop drops have less sugar, last longer, and don’t leave little random pieces of candy in your mouth. One Preggie pop drop lasts about 15 minutes for me, and curbs my nausea for about 30 minutes. I have all day nausea and am using 2-3 Preggie pop drops per day. One container lasts a little over a week for me. The ingredients in Preggie pop drops are dried cane syrup, corn syrup, citric acid, natural colors, and natural flavors (made with essential oils). Preggie pop drops are gluten free. Preggie pop drops are very helpful when I am out and about and can not seem to calm my stomach. I know as soon as I pop a Preggie pop drop in my mouth, my nausea will subside. This was very helpful during the first month or so when we hadn’t announced we were pregnant yet. Preggie pop drops look like any other candy. I could pull one out of my diaper bag and nobody knew it was pregnancy related. The newest creation of Three Lollies is Preggie Natural Chews. 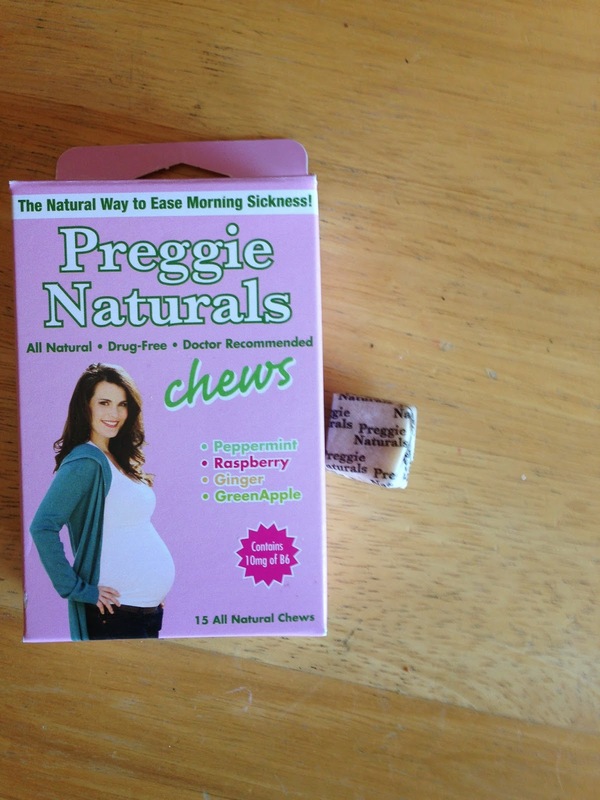 Preggie Natural Chews are a soft, chewy version of Preggie Pop Drops. 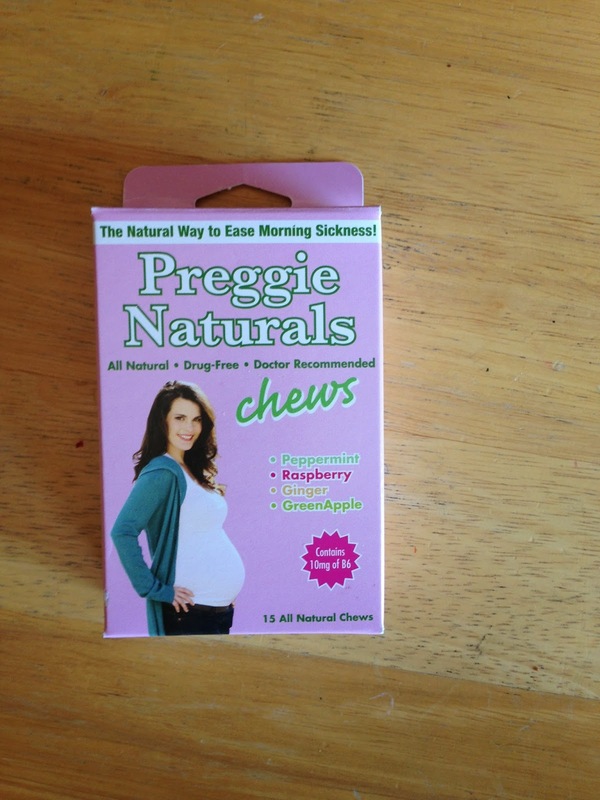 Preggie Natural Chews come in four flavors, peppermint, raspberry, ginger, and green apple. There are fifteen chews in a box. 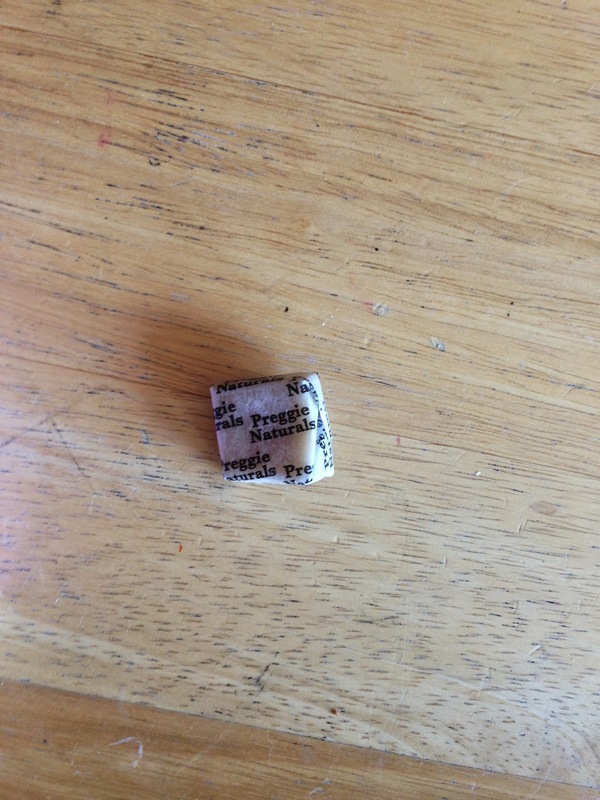 The texture and flavor of the Preggie Natural Chews is very nice. I prefer the Preggie Pop Drops over the Chews. I seem to chew the chews way too fast! The drops last longer for me. You can buy Preggie Pop Drops here for $5.50 a tin. You can buy Preggie Natural Chews here for $3.95 a box. You can also find both products in Target, Buy Buy Baby and Toys R Us.